#30: Lower Wolfjaw, 4175 ft.
#29: Upper Wolfjaw, 4185 ft. 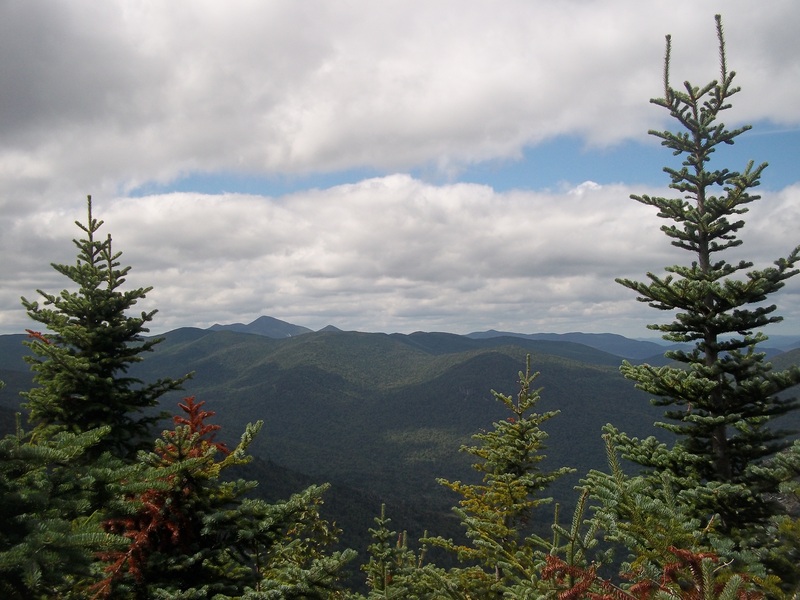 I finally made it back to the Adirondacks today to knock off two more in the Great Range – Upper and Lower Wolfjaw. 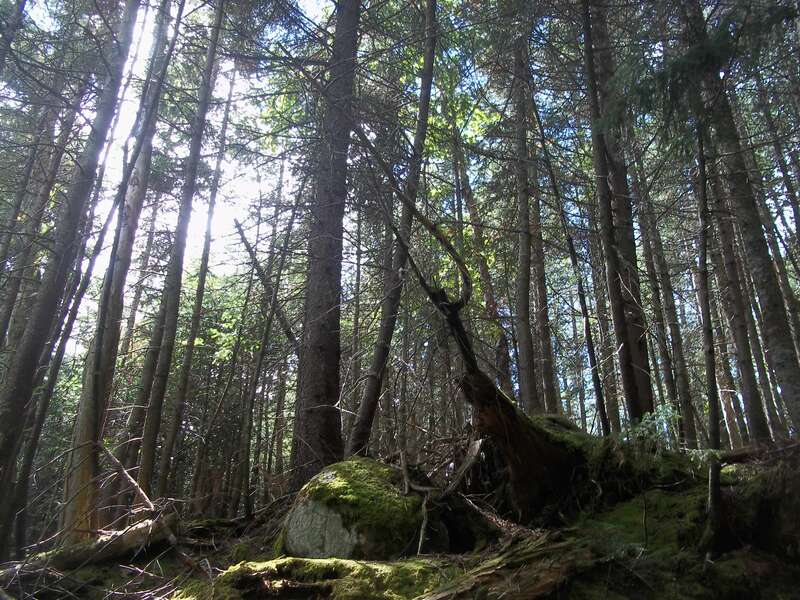 It’s been nearly a month due to life just being too busy and boy can I feel that month off… it takes a lot of consistent hiking to remain ADK trail-seasoned, my feet and knees and ankles are reminding me as I write. The day started out with me missing the path to the West River Trail that I needed to find in order to pick up the Wedge Brook Trail, the most direct route up. I hiked about a mile too far on Lake Road and ended up having to double back. I loved hiking up the Wedge Brook Trail – it’s soft and earthy, not too rocky, and gradual with few steep sections. 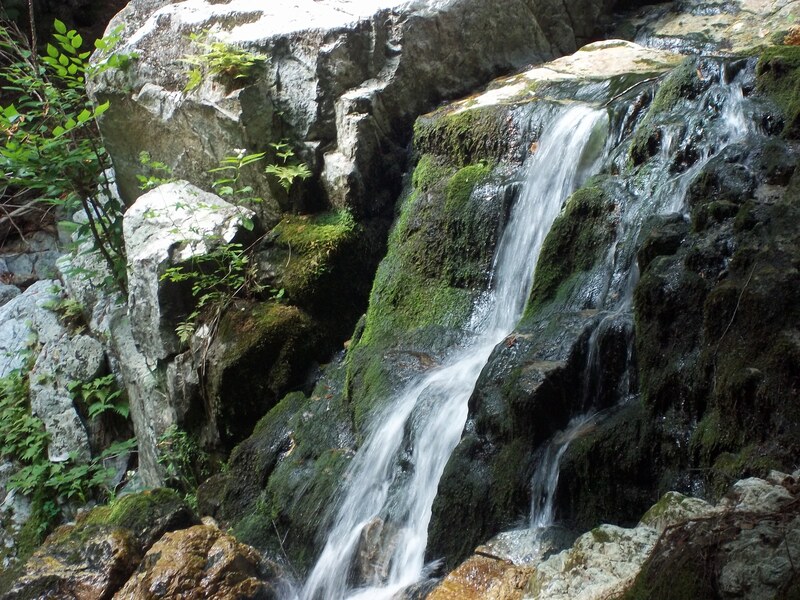 There are also some pretty waterfalls and cascades where Wedge Brook meets the trail. When I was planning my route I had toyed with the idea of making a loop with the Beaver Meadow Trail just for a change of scenery, but the extra mileage at the start put a damper on my desire to add mileage at the end… not to mention that descending Wedge is a piece of cake compared to Beaver, I now know. Lower Wolfjaw was fairly uneventful, as I’ve heard from almost everyone who’s climbed it. 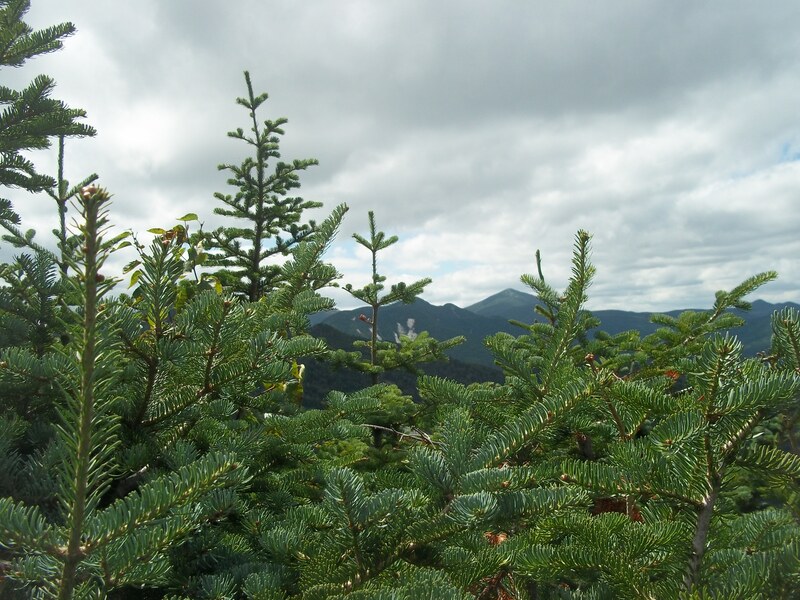 The summit is treed but there are views from an overlook and I got a few nice shots. 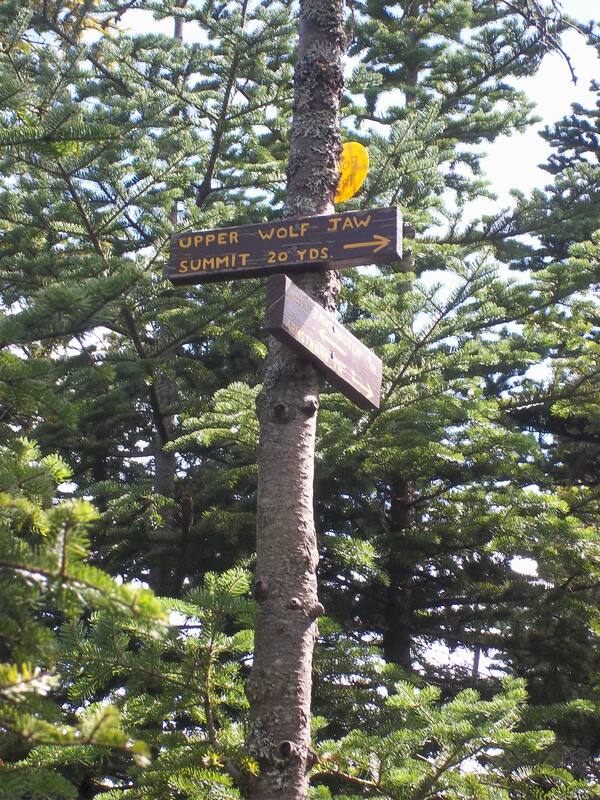 I can barely remember anything about the climb up Lower Wolfjaw actually, even though I just did it a few hours ago. 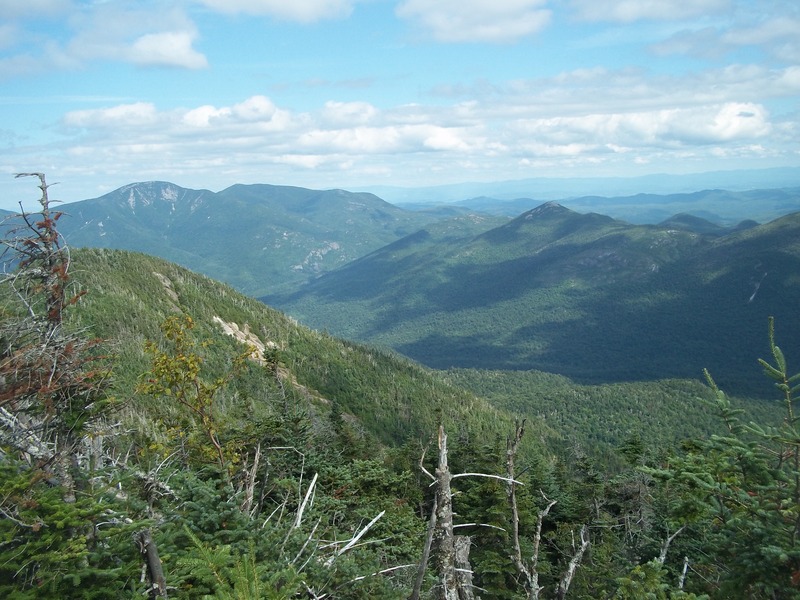 That’s because I climbed Upper Wolfjaw second, and wow – there are some tricky spots on that ascent for sure. Lots of steep scrambles over large boulders, and some of them took me some time to figure out. I spent the whole time going up worrying about coming down, but surprisingly it was harder going up the boulders this time. It was a lot of fun navigating the technical aspects of this climb, and as usual, the terrain in the Great Range makes for some awe-inspiring eye candy. 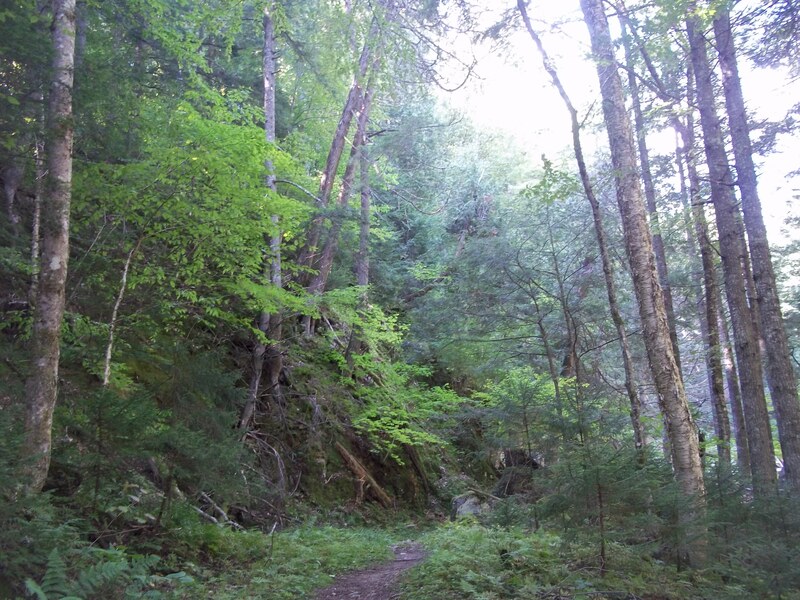 The Wedge Brook Trail is gradual enough that I was able to jog down some of the mountain, and anyone who’s ever hiked with me knows that I’m much faster going up and usually go very slowly on the descents. Nice to make up some time at the end of the day. 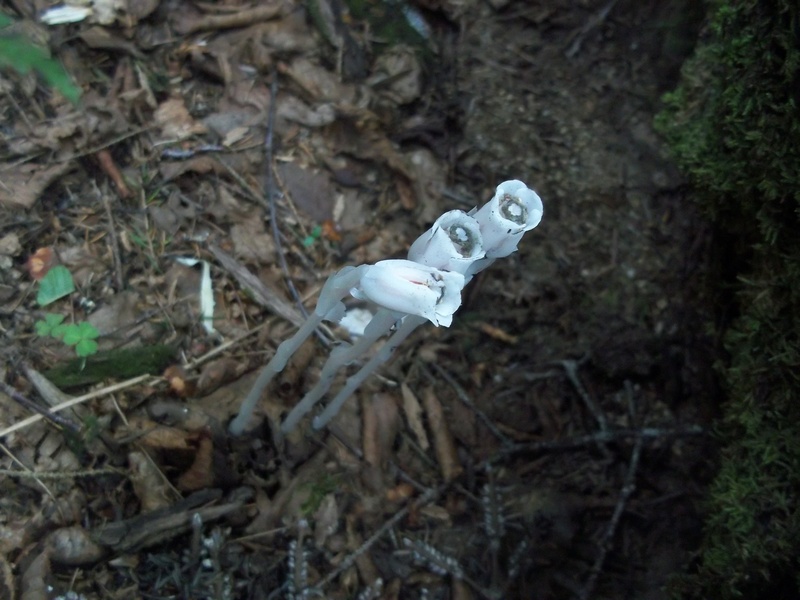 Indian Pipe, or Corpse Plant, growing near some moss on the Wedge Brook trail. Beautiful pictures, Pru! I love hearing about and seeing your adventures. 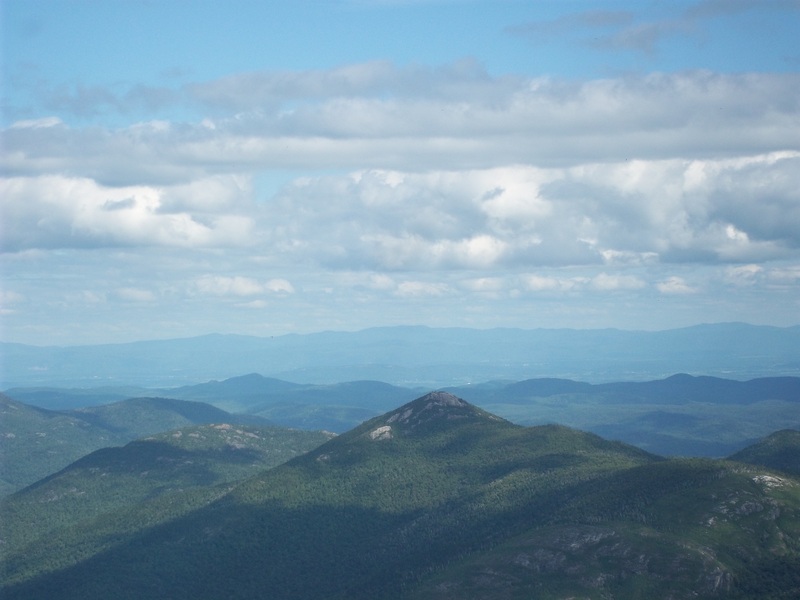 I have always wanted to hike the high peaks. I think NY is an amazing state…I may be biased. Thanks for sharing, hope you’re doing well. Thanks Jay! If you ever come back this way and want to do a hike, let me know! Sounds great! I will definitely let you know, thanks for the offer! The waterfall picture is outstanding. It appears as if that hike is not so well trekked. As for having to double back, well, guess that’s just par for the course. You must have slept well last night. Sounds as though you had an awesome hike!! I’m glad that you were finally able to knock those two off! I was there with you in spirit, but wishing I was just there, period! Is this a warm up hike for Basin and Saddleback on the 25th? Great pictures; can’t wait to see the rest! It’s a really good thing I did that hike yesterday, with regards to Ba/Sa… I absolutely needed a warm-up hike! I am in tons of pain today… something I haven’t experienced in a long time, as I’d been hiking so regularly. I definitely missed hiking with you yesterday… it’s been awhile since I’ve hiked solo and it’s so nice to have someone to share the experience with. Looking forward to seeing you in a few days! You’re suffering from what I’ve been experiencing lately…since finding a hiking “soulmate”, it’s not as much fun hiking solo anymore…sure the solitude is there, but no one to share it with!!! But what matters is that you did it, you Way to go Pru! Kudos to you once again Pru!!!!! “The pain eventually goes away and it was all worth it.” Looking forward to your next climb. Thanks, Suzanne! Hopefully I’m enduring pain today to make for less pain next weekend, which will be an infinitely more challenging hike. Hope you are well! This was eye level for me and it took a minute to size up for foot and hand holds. I would imagine you had a fun time with it. Is that photo head-on, or taken from the left looking right? If it’s the latter (which I think it is)… I opted to squeeze my way through those boulders and go up the side – couldn’t figure out how to get over them! The scramble I included the photo of above was the toughest one for me to navigate. It was definitely a fun hike! 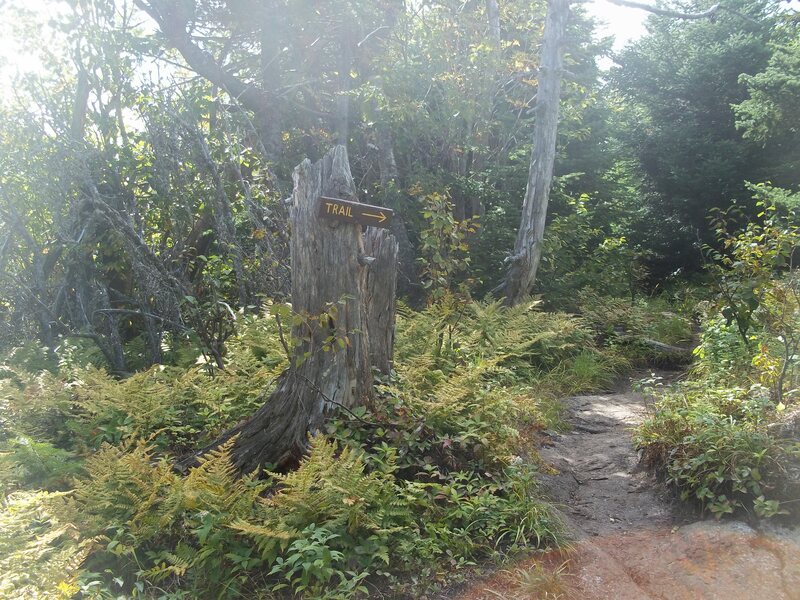 Yes, the pic was taken from the side and the trail ascends up to the left. I scrambled up the right side of the boulder on the right. 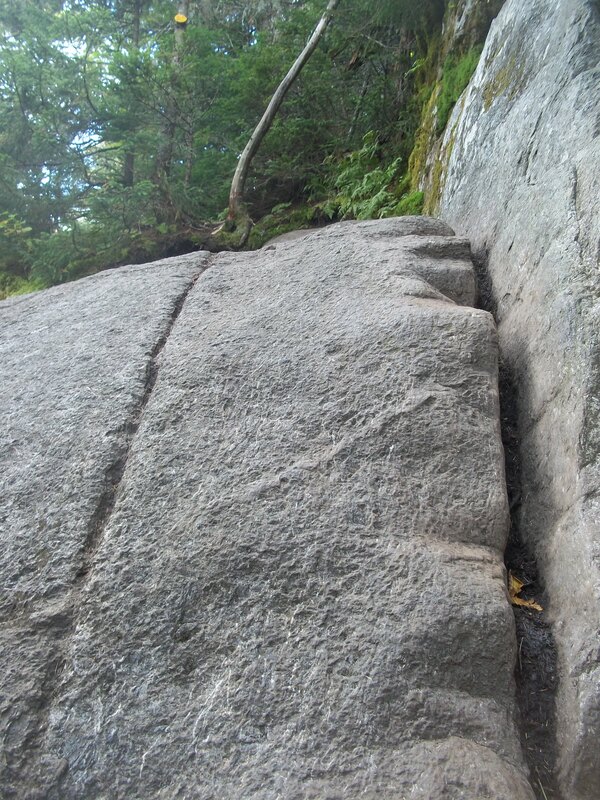 Just one of many fun and steep scrambles up this trail! Good luck with Basin and Saddleback! Can’t wait to see your entry for that one. Nice shot of that. I need a better camera, as my pics of that particular challenge did not capture what yours did. Guess what? We decided on Basin and Haystack instead. Nice to be able to shave 3.5 miles off of those two (as we’ll be leaving from JBL), and I will do Saddleback from the slide another time. This makes me feel infinitely better. I realized that I’m just not comfortable with the Saddleback cliffs.